The suites are wonderful (huge walk in closet, separate living area from bedroom - very well appointed & thoughtfully laid out). Service was exceptional (they made cheese danish for my dad everyday because he happened to mention he liked them). They all seemed to know our names. The end of May cruise in the Baltic was an excellent choice! Seabourn delivered a wonderful itinerary of visits to Sweden, Estonia, Russia, Finland and Denmark. This cruise is designed for the adult world traveler who wants to spend extended time in Russia (3 days). We enjoyed the larger than normal veranda cabin, excellent food, and attentive staff. The ship was almost full at 435 passengers resulting in a 1:1 traveler to staff ratio. Open dining and Thomas Keller Grille restaurant with all inclusive beverages made everyone happy. We enjoyed the Serenity room at the spa, making us very relaxed after touring. We were two couples traveling to visit these countries mostly for the first time. We decided to arrange independent travel and not use the ship excursion offerings. We planned a pub crawl in Stockholm, biking tour in Tallinn, three-day with concerts in St. Petersburg, and foodie tour in Helsinki. Luckily we had perfect weather the entire trip in the 60s and 70s with no rain. While we visited many of the popular sites they were not overcrowded at this time of year. One final tip: for those considering considering this wonderful trip, my husband and I paired this experience with a series of audio interviews offered at the Rick Steves "Audio Europe" Scandinavia/Baltic website: www.ricksteves.com. In particular, Rick Steves dives deep into the differences between these wonderful nordic countries. The best part of the cruise was how accommodating Seabourn was for my many dietary needs. I was disappointed that we arrived late into Edinburgh and therefore had a very limited amount of time in port especially since we were docked in Leith and had to take a shuttle bus to Edinburgh. The shuttle bus did not start immediately and ran every 30 minutes. In other ports we also had to use shuttle buses because the docking place was not near the city. Unlike tenders that run more frequently, the use of shuttles decreased the time we had in the city. The excursions from most of the ports were good although the excursion from Antwerp to Ghent didn't account for the amount of time it would take in traffic to get back to the ship and we arrived after the dining room had closed for lunch. The in excursion in Oslo didn't take into account the time at which the shop and snack bar at the Lillehammer ski jump opened and we had to wait. It was a waste of time and we weren't supposed to stop there. The guide on this excursion wasted time trying to decide whether to proceed with the stop in the sculpture park because it was raining. She ultimately decided to proceed and it was fine but the time that was wasted in both of the first two stops resulted in less time at the Viking Museum than ideal. Our cabin was very nice, just as we requested. I like the fact that you are not nickel and dimed. We have traveled with Seabourn three types already and so far they are at the top of our preferences for future cruises. This cruise covered an area we wanted to see and overall they did not disappointed us. Same top service than before, right boat size and a great combination of passengers to interact with. An unexpected last minute upgrade to Penthouse level. Weather was great and we had a great time. Seabourn service was outstanding from the Captain down the deck hands. Everyone knows you and is professional and friendly. Food and wine offer excellent choices and you can request anything with 24 hour notice. Great Observation Bar for sail away views. Seabourn Quest was wonderful as always. The officers, staff, and crew all make your cruise a superb experience. The food is excellent, including the new addition of Thomas Keller's appetizers, mains, and desserts. Seabourn also provides an all inclusive wine program that offers some very nice wine choices. And, if you want something that is not currently offered with the night's dinner, then, the wine staff will go get it for you. Excellent! The Observation Bar is a great place to get cocktails, wine and other drinks while interacting with other guests and listening to great piano melodies. The Seabourn entertainment program offers something for everyone. We had a great cast of Seabourn Singers who performed Broadway music and a Crossroads show that featured Rock 'n Roll and Country. Other performers included a great magician, a singer/tap dancer, classical pianist and the Seabourn Club Band. Seabourn is the best cruise line! 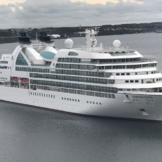 We were very satisfied and enjoyed our first seabourn cruise with Journey, that we booked this Quest cruise, I noticed the service was not what we were expecting, i.e . it takes awhile for a server to refill a drink, or catch the attention of a server, in restaurant. other than that, we love the on board entertainment and activity , staff, Jan and ashley, they are so nice and took the time to talk to us or everybody else on board. our suite and cabin attendant raquel is very good , friendly and accomodating to our needs. We had been on Seaboard (Odyssey) before so knew the Seaboard experience would be good. The food and service onboard is wonderful. We also really enjoyed the lectures, learning a lot about the ports, as well as astronomy and geology. Itinerary is one of our highest priorities when we book, and this Caribbean/South American cruise did not disappoint. We would have traded one of the days in Manaus and a beach resort island for more time in Rio. Seabourn Quest from Copenhagen to Montreal far exceeded our already high expectations. The staff on board was very personable and provided a friendly, fun and professional experience throughout the cruise. These comments include everyone from Suite Stewardess, Dining Room staff, bar servers, Executive Chef and other chefs, entertainers, and Cruise Director. First class all the way. Felt that the Quest was alot better than the Sojourn even though it's a sister ship. Captain makes all the difference with the feeling of the ship. Seabourn Quest is a moderate-sized ship which is easy to walk. Sometimes I was frustrated when I couldn't get to the front of the ship easily due to restricted signs. However, I usually found the right path after making a couple of attempts. Seabourn Square added a nice touch although found it too chilly in temperature to want to spend much time there. Library and card rooms gave the ship a relaxing feel. The Seabourn Quest was beautiful in every way, and staff members were constantly polishing and cleaning to keep it in mint condition. The itinerary was great, only a couple ports that weren't very interesting and we were in those on Sundays. Just got back from a 7 day Mediterranean Cruise and had an absolutely fantastic time! We were very impressed with our suite which exceeded our expectations, the service and food was impeccable too! We loved the attention to detail and room service every morning for breakfast was always a perfect start to the day. We will definitely be traveling with Seabourn again on future cruises. As regards the attire worn by passengers on our cruise, we did notice some were more formally dressed then others but never witnessed or overheard any unkind comments about this. Everyone seemed to be enjoying themselves and having a great time. 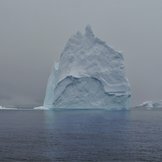 This is really a review of two cruises because we took that first Antarctic cruise of the year in 2015 and liked it so much we came back for the cruise that included South Georgia Island. Our only disappointment was that we did not get on shore to see the millions of king penguins but had to see them from a zodiac because of high seas. Anyway, traveling through the Antarctic Peninsula was an amazing experience. The expedition team did a wonderful job of getting everyone on shore safely to see the wildlife as well as giving interesting and informative lectures. We got to see several different types of penguins, seals and many kinds of birds on the landings. This was an experience of a lifetime. One problem with any Antarctic cruise is crossing the Drake Passage where the seas can be very rough and many people, including my wife, get seasick. If you are likely to get seasick, it is best to choose a stateroom located in the center of the ship on a lower deck to reduce motion. -the food started to get boring by the end of the cruise. -the observation lounge was too crowded during the afternoon tea so we could not find a place to sit if we arrived at the allotted time. This was our fourth cruise on the Seabourn Quest. Just when you don't think it can get any better, it does. The addition of the Thomas Keller menus has taken the dining to a whole new level. The food was great, before, for a cruise ship. Now it's great for anywhere, period. A review of Seabourn Cruise (it took 4 months for me to write this)! My husband and I have been cruising for years. We especially love transatlantic cruises because we love sea days. We heard so many good things about Seabourn and we booked a transatlantic cruise expecting it to be a trip of a lifetime. Little did we expect it would be such a trip which we will forever forget. We thought it was a bit odd when we checked in how the crew and passengers were treating us as persona non grata. However, we just took it as check in worries. Upon boarding, we were directed to our room, we unpacked, and then, from that moment, we were treated as sub-human. Seabourn prizes itself for its hospitality and knowing everyone. All the reviews I read said that within 2 -3 days, all the staff would be calling us by our last names with the honorific. I noticed it with all the passengers, except with us. I brushed it off thinking, perhaps the crew was too tired. On the third night, my husband and I went to the dining room for dinner. My husband was wearing a button down short-sleeve shirt and kakis and I was wearing a polo shirt and kakis (it was not s formal night). Once we sat down, a couple next to us started complaining about how the quality of passengers has declined on Seabourn. The couple asked to speak to the hostess - they wanted us out of there. The hostess asked if we would care to move. We were shocked at what was happening but said, yes. We went with her to the center of the dining room as the staff was trying to find another table for us. I asked the hostess what we were doing wrong as I didn't understand what was going on. She told me, "you have done nothing wrong." Then, another passenger came over and yelled at us for treating the crew with such disrespect. 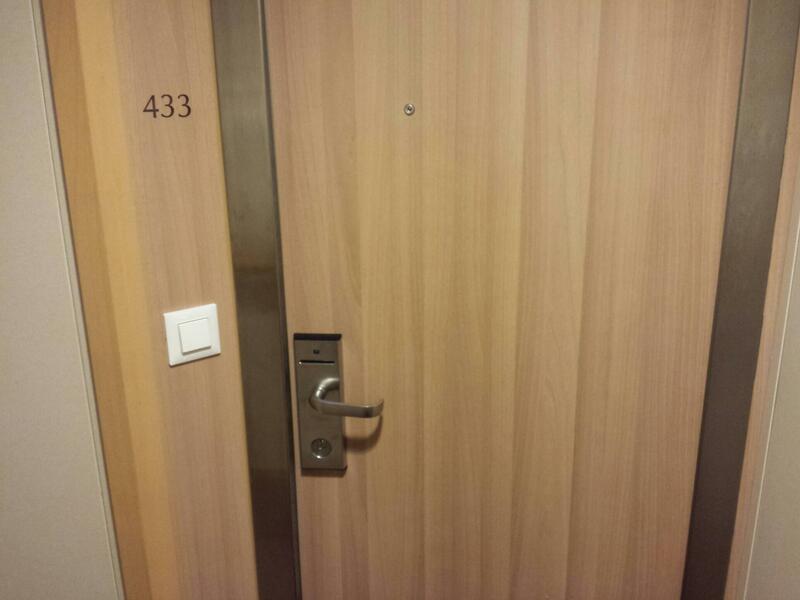 We said to the hostess, we want to go to our room. We went to our room and the food and beverage manager came and said this had never happened before, we don't know why this happened, but we will take care of it. I was completely in tears. (P.S. - it has taken me several months to write this review as I am still horrified). We were told the individuals who assaulted us would be talked to. The next day, the Crew Captain approached us, didn't address us by name, and simply said, "are we all good?" My husband and I, knowing we had 13 days left, decided to simply say yes. The fact is, not everything was ok.
Seabourn prides itself with knowing its passengers. Only twice where we called Mr. Hofer and Mr. Brady - the first was upon check-in and the last was on the second to last day when the waiter clearly was looking for a tip. We found it interesting that every other passenger was called by their first and last name. Yet - we were only talked to - with no name. We spent the remaining 13 days trapped in our room, in the smoking section of the deck, and in the aft bar. We felt unsafe anywhere else. The crew and the passengers treated us like we were subhuman. I wonder - what is wrong with the ship? Only 5 people were people of color. Although there were a few gay couples, like us, I saw that if you had money, or appeared to have money, you were treated with respect. We were able to afford the trip; however, we were treated with anything but respect. No apologies other than saying, "We talked to the passengers and this won't happen again." We will never cruise on Seabourn again. It is the most racist, mysoginistic, classist, homophobic cruise line ever. I wonder how differently things would have been if I would have come out as a priest? An update. I had a very lengthy conversation with the Senior Manager of Guest Relations in the President's Office of Seabourn. My conversation with the Manager was something I expected from day one of the whole cruise. The Manger could not apologize enough, took time to listen to my story, was very sympathetic and I believed her when she said it was not the Seabourn Way - however, it did happen to us. I greatly appreciate the fact that Seabourn accepted all fault and acknowledged that we did nothing wrong. The Manager will be addressing the situation on many levels to see this never happens to anyone else which was my goal in the first place for finally writing this post. I believe by truth-telling there will be positive change. The Manager will be working with the company to see the best way to help put this experience behind for us in order that we might move forward. I believe that. I appreciate the follow-up that the management of Seabourn has done. Their apologies and effort to make-up for our experience is what I had expected. I wish to put this horrible experience behind me and I look forward to our next holiday. Although my experiences in my review are real and I will not change it, I give the management credit. I truly believe by sharing my story that hopefully no one will ever have to go through what happened to me on Seabourn. Seabourn does a terrific job. The Antarctic experience was beyond our expectations and simply "wowed" us. This ranks as one of our top vacations. The Seabourn Quest is a beautiful ship and very nicely appointed. The coffee bar is very popular and the baristas efficient. The ship provides 3 - 4 dining options depending on the weather plus room service of course.